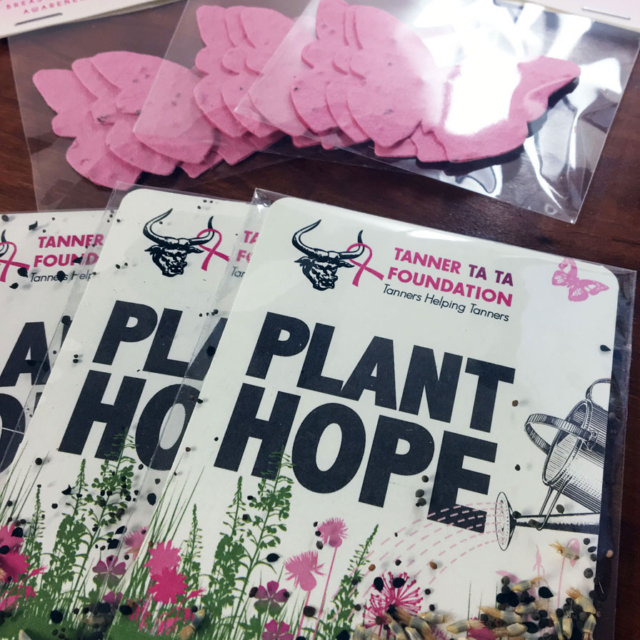 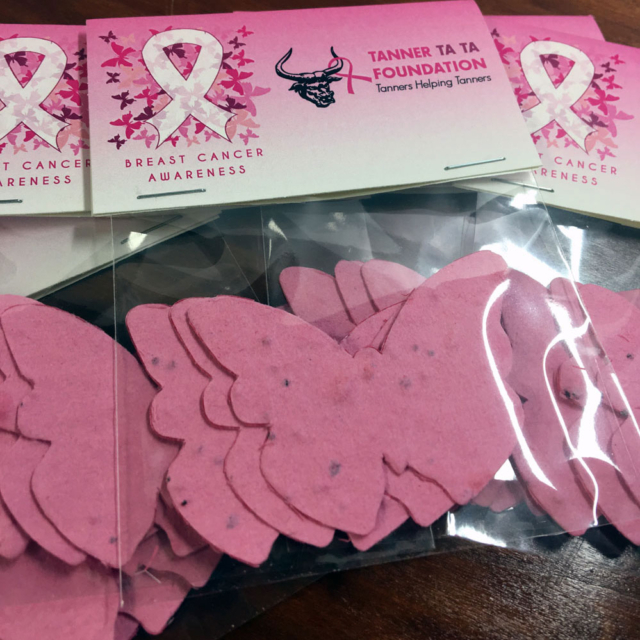 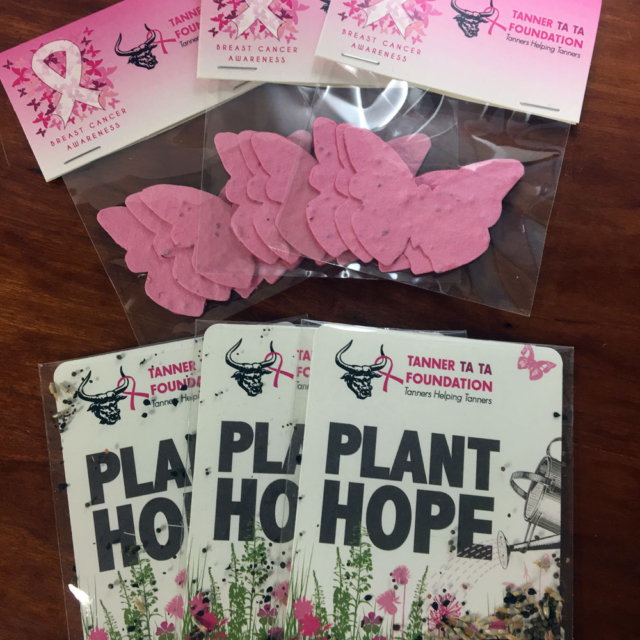 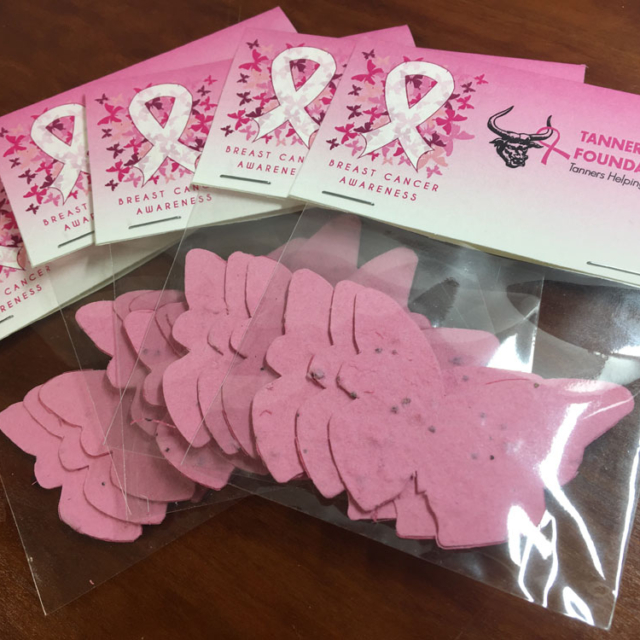 We do promotional items every year for the Tanner Ta Ta Foundation for Breast Cancer Awareness. 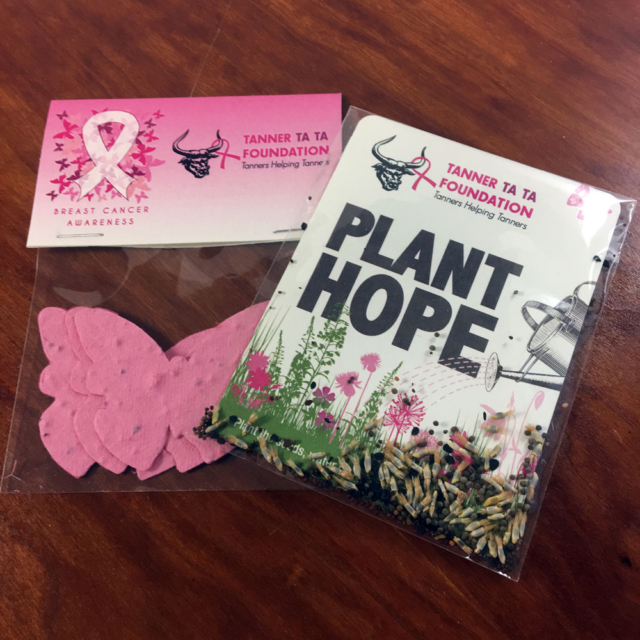 This year, they got wildflower seeds to give away at their health fair event. 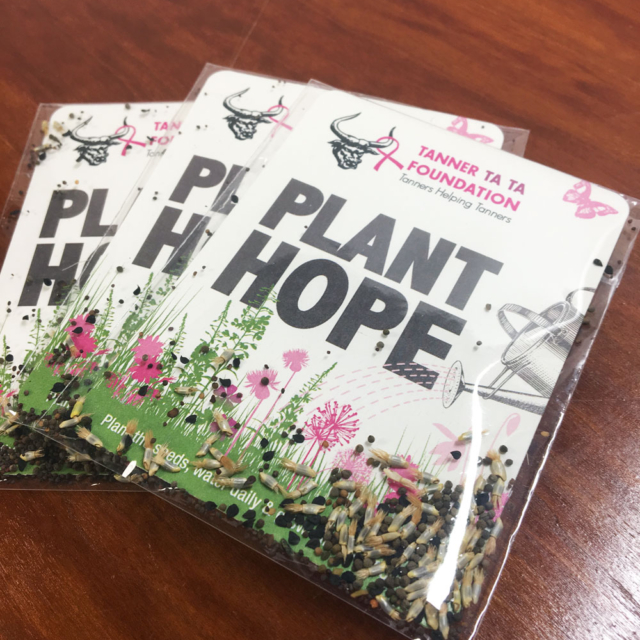 Biodegradable butterfly shaped seeds and a packet of mixed wildflower seeds.